As any iPad owner knows, there are literally thousands of apps available at the swipe of a screen. As any professional educator knows, there’s not enough time in the day to research the best iPad apps for teachers. Fortunately, CE Tours has done the research for you, so you can spend what little precious free time you have doing something you actually enjoy. Based on reviews from other teachers just like you, here are five of the best iPad apps for teachers available today. ClassDojo is the perfect iPad app for teachers with problem students (Ahem….calling all teachers!). The app captures and creates data based on student behavior so that teachers can easily share it with parents and administrators. 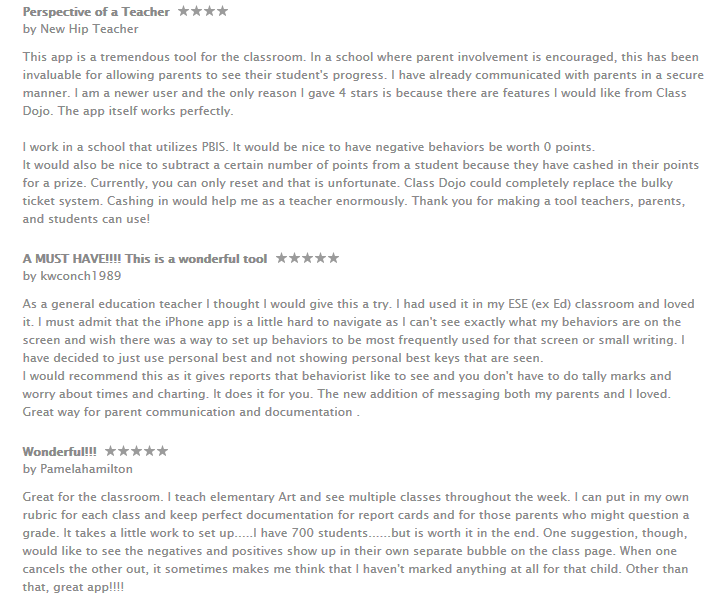 Not only is it free, but ClassDojo also provides a helpful community forum for all of its users. Used to help teachers manage classes and provide students with positive feedback, ClassDojo is a favorite iPad app for teachers across the globe. See for yourself and check out the reviews below! Say goodbye to spreadsheets and hello to easy organization! This iPad app for teachers is basically a modern, yet user-friendly gradebook. iDoceo’s spreadsheet engine automatically calculates grade averages as you input them into the app. Organize your information at will and create your own grading system by applying roundings and programmed color schemes. The app includes up to five seating plans and a planner for each class. Students can even receive their grades or files by email. 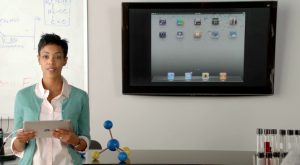 Educreations is an iPad app for teachers that is powerful, simple, and fun to use. It allows you to create video tutorials, explain math formulas, add commentary to photos, create animated lessons, and more! Easily create digital classes that can be shared with students within the app. Lessons are synced automatically from teacher to student iPads. Those without iPads can easily access the lessons at Educreations.com. Socrative allows teachers to engage, assess and personalize their classes with a series of educational games and exercises. You can use quizzes, polls, space races and exit tickets to initiate formative assessments. This intuitive iPad app is a teacher’s best friend, as it instantly grades and graphs results to help identify any opportunities for instruction. This handy iPad app for teachers is a one-stop hub for managing content across students’ iPads, iPhones, Macs, or iPods. Teachers can easily create content, such as multimedia presentations, or download ready-to-use lesson plans from peer educators and certified publishers. Content can be shared with students and assessed in real time. Be sure to download these helpful traveling iPad apps the next time you go on a class trip! Get a comprehensive, updated list of every conversion across the globe at any point in time. Easily create, share, save, and manage your entire travel itinerary. Plan your trip with ease. Find the lowest rates and millions of customer reviews. What are your favorite iPad apps for teaching and traveling? Feel free to share your own reviews for the rest of the teaching community!